The GSP is generally a long-lived healthy breed. Helping to keep them this way, our parent club, the GSPCA (German Shorthaired Pointer Club of America), recommends several health tests, clearances prior to any breeding. Here at Diadem we encourage and support health testing. 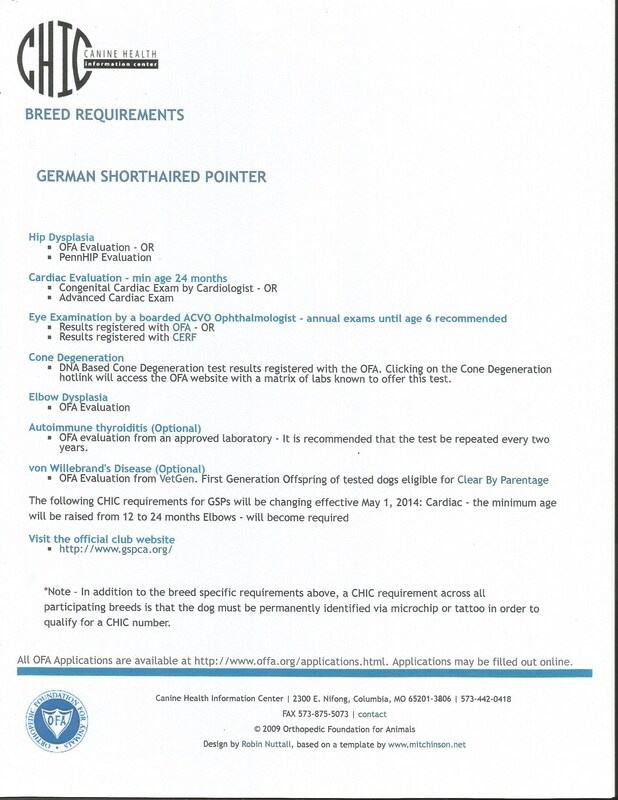 See the most recent requirements put out by the AKC here. Optigen test results registered with the OFA. OFA evaluation from an approved laboratory - It is recommended that the test be repeated every two years.